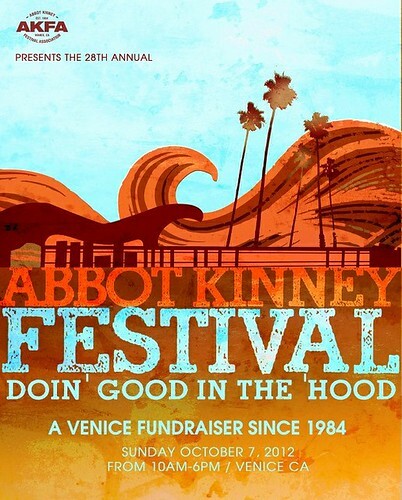 Abbot Kinney Festival 2012: Sunday, October 7th - Yo! Venice! The Abbot Kinney Festival organizers have announced that the 28th annual Abbot Kinney Festival will be held on October 7th. The event was pushed back this year so that it did not conflict with the Los Angeles Triathlon like last year. Click here to nominate a Venetian for the 2012 ‘Spirit of Venice’ Award! Submissions are being taken now!